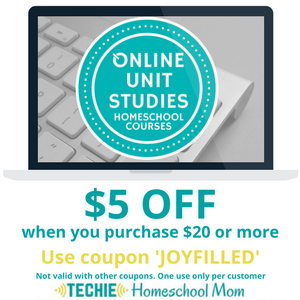 Planning a new homeschool year can seem daunting and overwhelming. 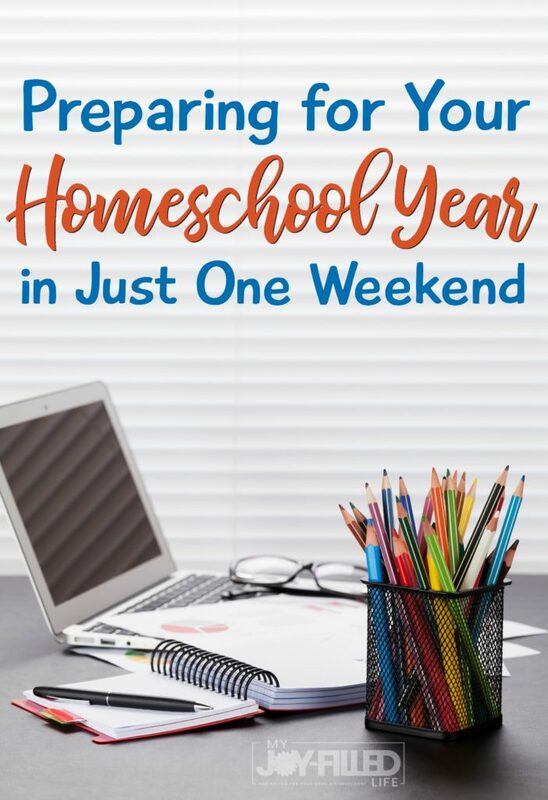 Instead of spending weeks preparing and stressing over schedules, choose a weekend to devote yourself to planning your homeschool year. Today I include the key things that you need to address during your weekend of planning. Obtain a binder and planner where you will store the homeschool documents throughout the year. Include in your binder attendance, annual calendar, daily schedule, yearly and quarterly goals, and a print out of your state standards. 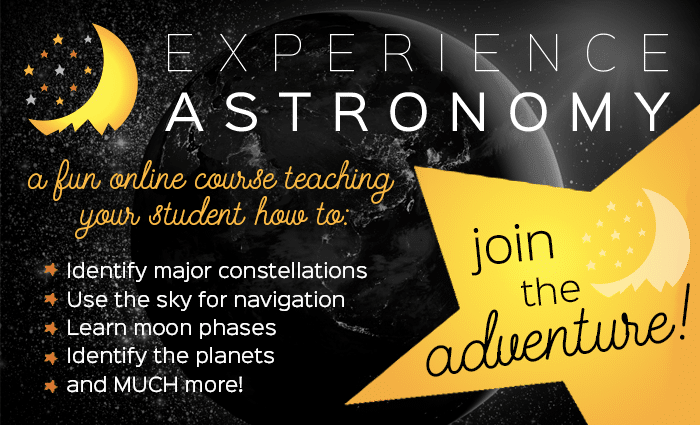 Include sections for each homeschool student and each subject. You will use this binder to keep track of your child’s progress, record the required hours, plan your weeks, and create a portfolio for your child by keeping selected pieces of work. 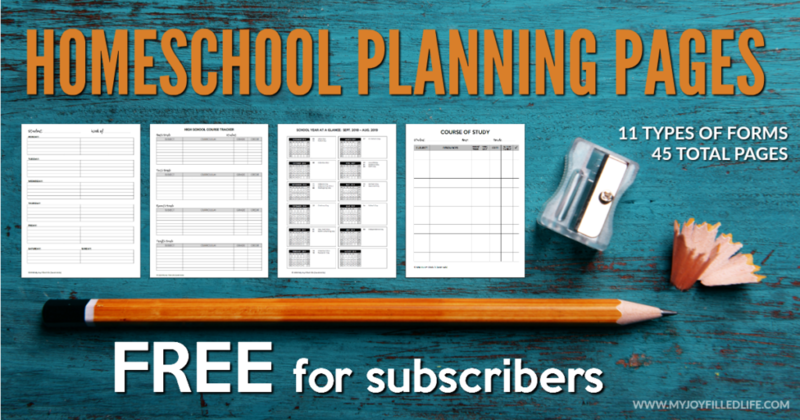 To help you get started, here are some FREE planning printables. Just click the image below to see what’s included and to get your own FREE pack. Create a daily and weekly schedule that will include all your subjects and meet the required hours for the week. Some families choose to have five homeschool days a week while others decide on four. You may want to start your days early in the morning so that you have more time in the afternoon or you may need to schedule around work hours. You can personalize your schedule to fit your family’s lifestyle. Look at an annual calendar and decide when you would like to take breaks. Are you planning a family vacation? Do you want to take a break during a holiday? Determine how many days you can take off during the year and pencil them into your schedule. You can also include themes within their homeschool weeks. The week before Halloween you may want to include Halloween themed activities. Make these plans now and include them on your calendar. If you are using a set curriculum, then your lessons are probably already planned. If you are creating your curriculum, then this is going to take more of your time. Write down every subject that you want to include within the homeschool. Don’t forget to list topics such as art, music, health, physical fitness, and life skills. Under each subject discuss your yearly goals and list activities that you can incorporate throughout the year. You will use this as a reference when planning weekly and monthly lessons. Once you decide on a daily plan, then create a schedule that will be posted where the family can observe it during their school day. Children who are in preschool and elementary levels respond better to a visual timeline that includes pictures. When starting a new school year, children should be reminded of the rules during school time. Select five or six rules and post them, along with pictures, in an area that can be viewed during the school day. On the first week of homeschool make sure you go over the rules before the beginning of your day and include consequences when a rule is broken. There are many methods for presenting and enforcing rules, so this will look different for every family. The new school year will be quickly approaching. By taking a weekend to get yourself organized you can enjoy the days of summer that you have left without wondering what you will be teaching in the coming weeks. Great giveaway! Wow, could a gal stock up with $250! Saxon, Master Books, the World’s Story…. 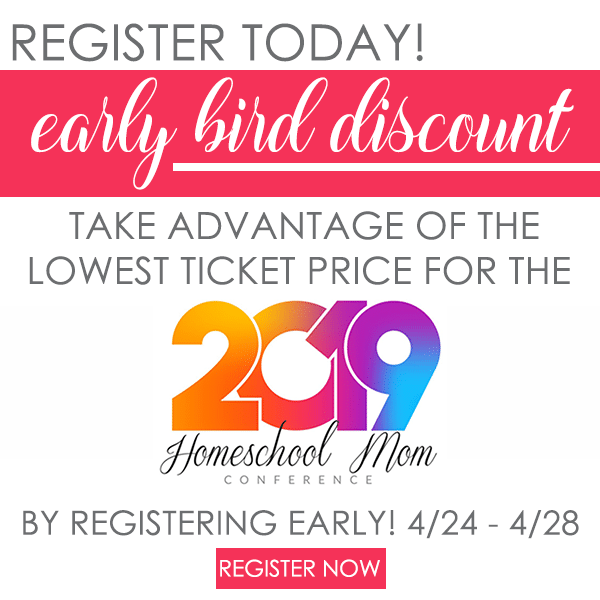 I would love to get our upcoming supplies – All About Reading, Saxon Math, Notgrass History, Apologia, and so much more! We start our new school year next month. I am planning on going through our homeschool stuff this week to find out what we are in need of for the upcoming school year. So I would buy whatever we are missing. Id buy curriculum and activities for my kids! We love rainbow resources. I’d love to get something on math like the Horizons Math K Boxed Set. I need to get some more Apologia science and notebooking journals for my children. I would buy literature, health, and science curriculum for my teens. I have a wish list filled with science, music, art, foreign language, along with games and activities. I might also buy a book that I’ve been wanting to read about homeschooling for a while! My wish list is pretty long… I would purchase Are curriculum, and writing books for fourth and seventh graders, creative writing curriculum, and some manipulatives for my preschooler. This would take care of my current wish list! Science, art, spelling, and grammar!! I could also grab some extra fun things! I’d use it to buy curriculum for my 3 kids and a printer/copier. I am not sure what I would get, probably items for science and history. What an AWESOME give-away! I actually love planning curriculum. I’ve never bought from Rainbow Resource before, but I have my eye on many things. Especially going thru the Math section and getting stuff to supplement and reinforce Math skills. Thanks for sharing the info about the giveaway! I would buy all the books I could afford. Too bad they don’t sell bookshelves too. I buy what we need for our next school year; Lifepac curriculum, Easy Grammar, Biology 101 DVD’s, Spectrum Workbooks. I would love to win a rainbow resource gift card!! Looking forward to trying out CLE Math this year, Elemental Science, and so many other great books and fun things from Rainbow Resource! Ooooh! This is so timely! We have 3 kids’ surgeries to pay for and the birth of a new baby, all from July-September this year. $250 to put towards our homeschooling supplies would be AWESOME!!! Thank you! This is a fantastic giveaway! I would buy tons of great books for my kids to read and curriculum. This would be wonderful to win! Going into our third year with 3 kiddos, we could do a lot with this giftcard! This is an awesome giveaway! I haven’t bought my History curriculum yet. Also maybe buy some science supplements and possibly a planner! Thanks for the opportunity to win. Oh my! I’d buy my daughter’s math and my son’s chem curricula! Love, love Rainbow! This would be such a blessing to us. I would purchase language arts and history curriculum for my kids. If I won I would use the gift card to buy high school curriculum for my daughter, as well as any other things I might need for my younger kids. Excited about this give-away! My children are really interested in science, art, and Bible right now. I have been looking into buying science kits for this fall. I would purchase Geography workbooks, Grammar books, maybe some Explode the Code books, and Beyond Five in a Row books, if they have them. I would buy some electives or other courses that we would not get otherwise. Thank you for this opportunity to learn about other web sites, instagrams, tweets, and pinterest we can follow. Thank you also for the opportunity to win a prize. 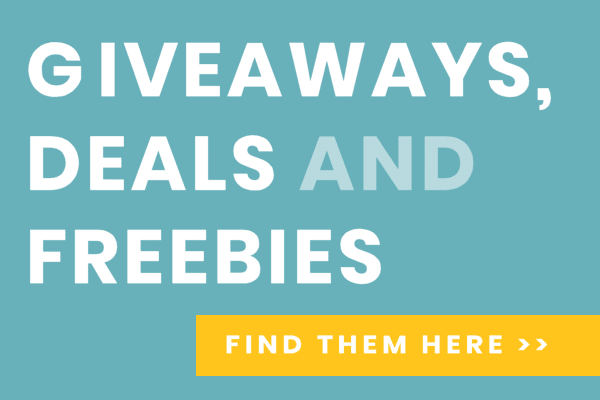 Fantastic giveaway and I love Rainbow Resource! I would use it to fill in the curriculum I still need for this upcoming school year. Thanks for this amazing giveaway! It’s so generous of y’all. I think I’d buy Math Lessons for a Living Education and tons of books for our homeschool library. I have The Good and The Beautiful book list and I’d love to get a lot of those books for our library. Also, I think I’d buy some history books- not sure which ones yet. I’m hoping to win the gift card for homeschooling/fun schooling our crew of 8 from a senior in high school down to tot school twins! Thanks for the great giveaway! Fun giveaway! I already have several things in my cart. The big items though ate our Saxon math set. I would purchase Horizons Math in Grades 1 and 6, Horizons Phonics and Reading in Grade 1 and Alpha Omega Language Arts Grade 6. What a blessing! Thanks for the opportunity! I would purchase the Five in a Row Literature book package. 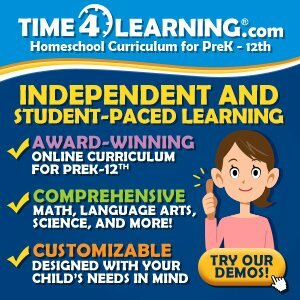 great resources to help home school families! I would get a science and/or history curriculum and something fun with anything left over. This would be an amazing giveaway to win! 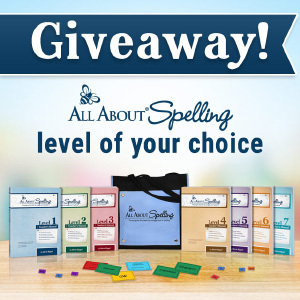 Happy that I came upon this giveaway!This is our first year homeschooling, and I’m both excited and nervous! I’d purchase science & health curriculum (because that’s what we’re missing), literature, and some type of language (maybe American Sign Language or Spanish). I would use a gift card for the Getty-Dubay Italic Handwriting set, Apologia’s What We Believe set, and some of the elementary Life of Fred books. Thanks for doing this give-away! I would purchase Easy Grammar, Writer’s Incorporated, several reference titles in the subjects of Math, History, and Science, Worldy Wise Products, McGuffey Readers, art supplies, Apologia Science books, and several educational games. I would get the books we need for our Classical Conversations classes. I would get everything I have left to purchase for our second year of Classical Conversations. If I won I would purchase a Windows to the World text and French 1 curriculum for my high schooler, some fun science materials for my 7th grader, maybe some neat literature for my daughter who has worked so hard to overcome her learning struggles to read and some items for our co-op. Possibly other goodies too as there are tons of amazing items to choose from. Yes! What a great, timely giveaway! Of course I ordered school supplies for the year, but then there’s always another list of things that I didn’t realized I needed, or totally forgot about. It would not be difficult using $250 on Rainbow Resource! If I won one of the gift cards to Rainbow Resources, I’d get a math curriculum for my two oldest and some games, books and puzzles for all four of my kids. The two youngest are preschool age. It would be great to have some things for them. This would be a huge help to our family! We are entering our second year of homeschool! I have a 5th grader, 2nd grader and preschool. We use Abeka but I’m doing the preschool all on my own. I have a huge list to give my DH for our 4 kids and this would help a lot! We are on one income and have a high school child whose books are steep ! If I don’t win, I hope it goes to someone who really needs it. My wishlist is waiting for me at Rainbow Resource. Thank you for offering this giveaway! Thank you for the give-away! I’d love to try the Life-Pac program for science this year. The grade 10 science experiments dvd looks great. Thank you this could really help our homeschool. Amazing opportunity! Thanks for the giveaway! I could use that to purchase the rest of my curriculum and some fun games! I would love to try a new math curriculum for my daughter! With five kids, my wish list is long! I still need a new math curriculum for my 3 boys, and a couple kids still need reading books. There are so many other things I would have to choose between-financial math or economics for my high schooler, critical thinking, art and music, and extra practice in some subjects my middle schooler is struggling in! I would use it to purchase our math and history curriculum. This is my first year homeschooling i am super excited yet nervous! i have been researching lots of ideas ( actually how i came across this blogger) i am not set on one specific curriculum so i am blending a few together! I am looking forward to finding more home school parents and getting more insight to further my success! If I won I’d buy math curriculum for my 7th grader! Awesome giveaway!!! I’m saving up to get the Beautiful Feet Early American History!!! 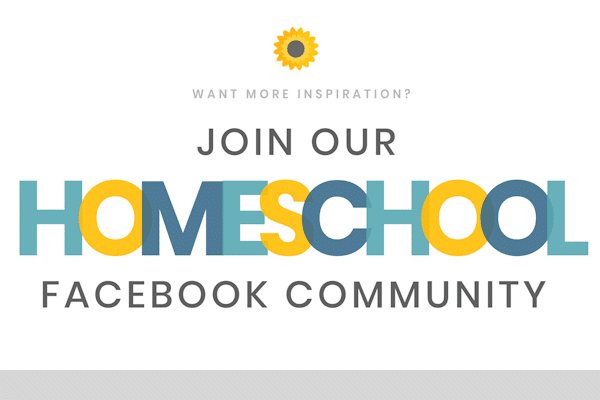 This would be an awesome resource to win & help contribute to our Homeschool library! Ready to purchase Apologia Science and Mystery of History! Thanks!! So excited for this giveaway!! Just in time for the new school year!! I would buy books for my daughter to read and fun supplements to help her love school instead of tolerating it. Thanks for the great opportunity and being a part of helping provide a rounded education to our children. I have a living book list on Amazon I am excited to add to our home library! So many amazing things! I’m not sure what I would buy! Thanks for the giveaway! We would purchase new reading books and science materials. I would love to get books for practice reading, and history resources. I would purchase Handwriting without Tears! So many things on my wish list! Science, games, who knows?!? I would purchase reading and science resources! Thanks! I would probably buy educational games and some history things. Thank you for this giveaway! Oh…I need spelling for all my kids and I need some odds and ends too. So excited! Thanks for offering. We are still needing to get spelling, science, Literature in Writing, and odds and ends for all 4 kids. Thank you!